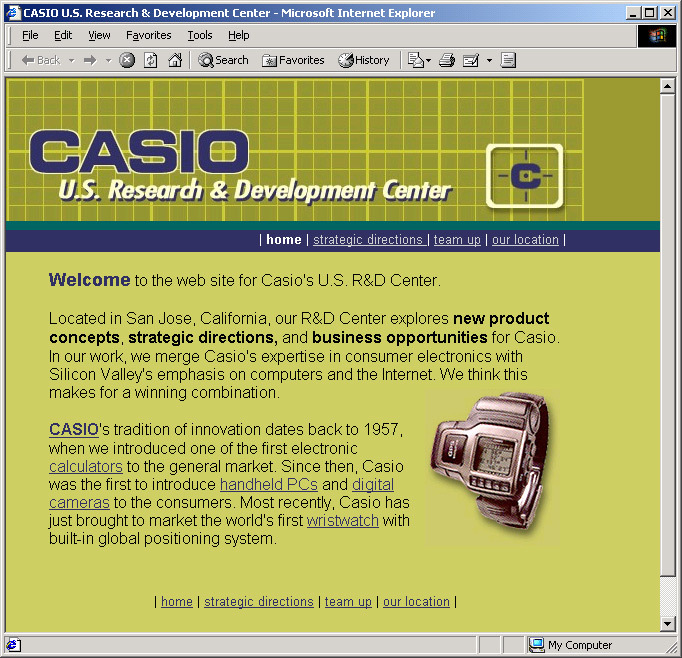 Purpose: CASIO U.S Research and Development center needed a web site developed rapidly while they produced their more formal site. Description: The site was developed and launched in 2 days. 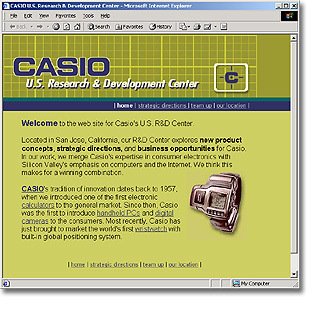 The site need to keep CASIO's corporate image while developing a unique identity for the U.S. Research and Development Center. A simple navigation was developed so that the site could easily be expanded by the client without additional graphic works.